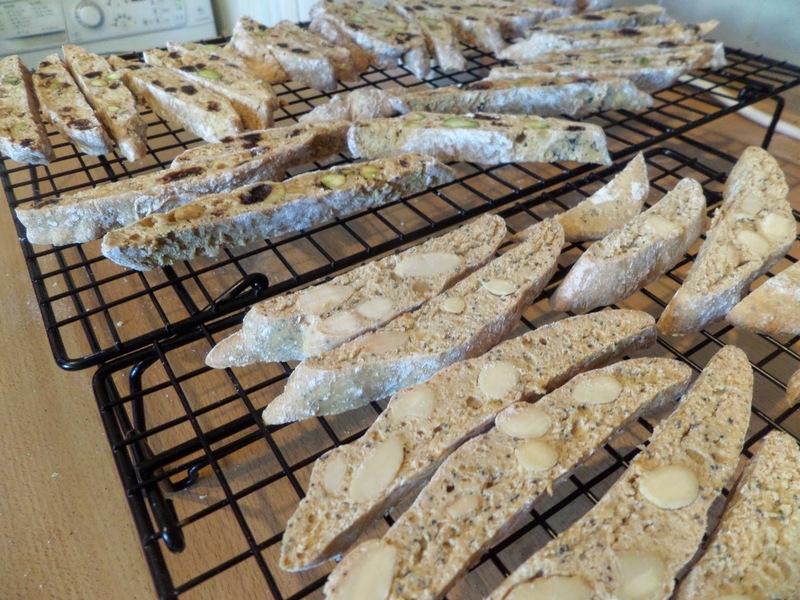 Sourdough Surprises this month is biscotti. A popular choice in this house certainly! 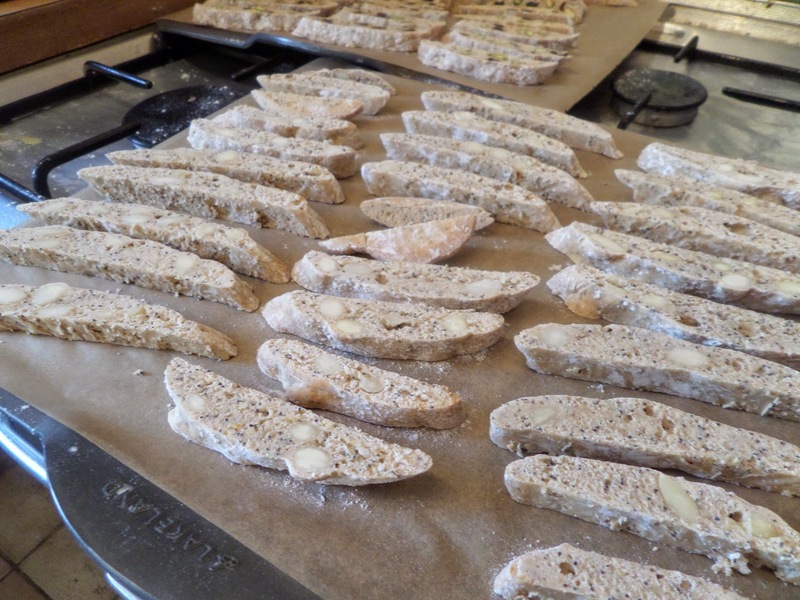 I made xmas sourdough biscotti last year, and they worked well, so I’ve already got my recipe sorted. Let’s start with lavender. We’ve got loads of it dried in the shed, and we hardly ever use it. OK so a couple of teaspoons of lavender for this recipe isn’t going to put a huge dent in our reserves, but I feel like I should at least try to use it. Turning to Cook’s Illustrated I see a basic honey and lavender recipe, a popular flavour combination I found all over the internet. However there’re no fruits or nuts in it, and I like those in my biscotti. Turning to my Flavor Bible I find that lavender works well with all the regular fruits and nuts you’d expect to find in a biscotti. I don’t want to overpower the delicate honey and lavender flavour, so I’m just going to add raisins and pistachios. 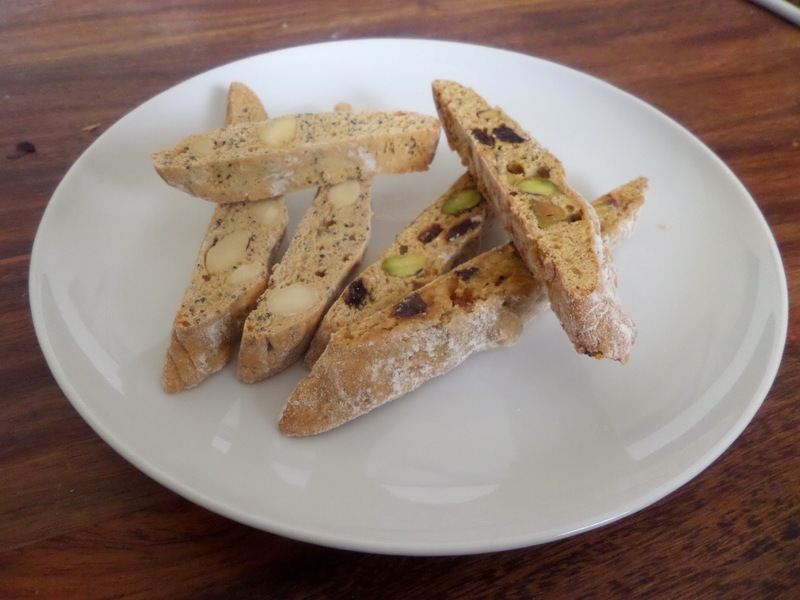 While on Cook’s Illustrated’s website I also noticed they have a lemon & sesame biscotti. Sounds nice, but lemon & poppy seed sounds nicer, and I like the idea of the poppy seeds peppering the look of the biscotti. 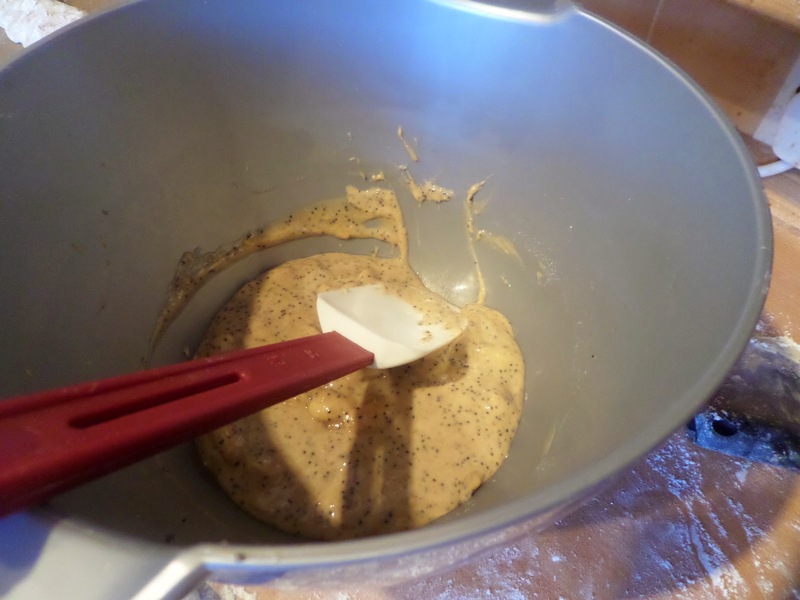 Once again they didn’t have any fruit or nuts in the mix… so I’m going to add some, but I don’t want to detract from the poppy seed look, so I’m just going to add blanched almonds. 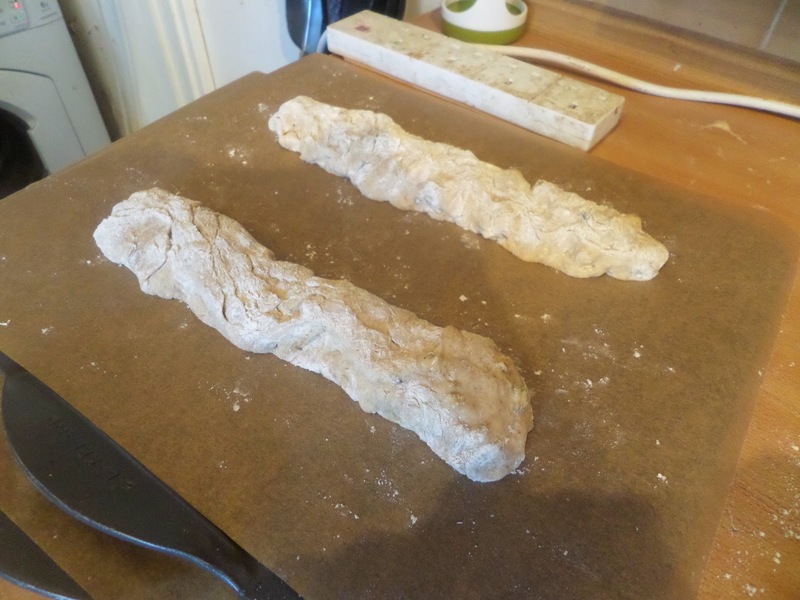 When I designed my sourdough biscotti I started by looking at my previous non-sourdough recipe and I could see this was going to be a challenge as the only liquid in them were three eggs. 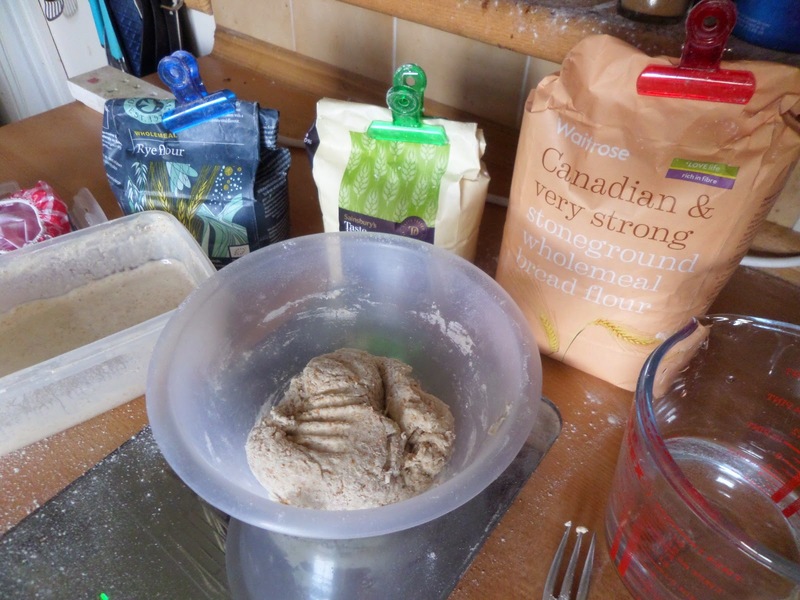 Looking at various sourdough biscotti recipes online (eg Wild Yeast and Korena in the Kitchen) I saw they were all using 50% hydration starters, which has a lot less liquid than my 100% hydration starter. This goes on top the the fridge overnight to refresh, along with a couple of other starters that are refreshing for other things, like gnocchi and dinner rolls! 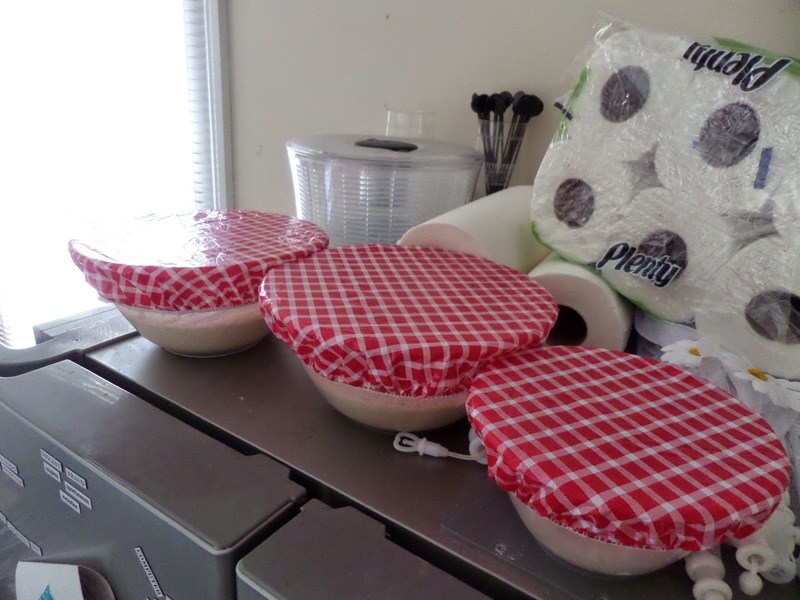 Each batch gets split into two and rolled out into sausage shapes, placed on lined baking sheets. Rise for a couple of hours at room temperature. Hmm they’ve spread. 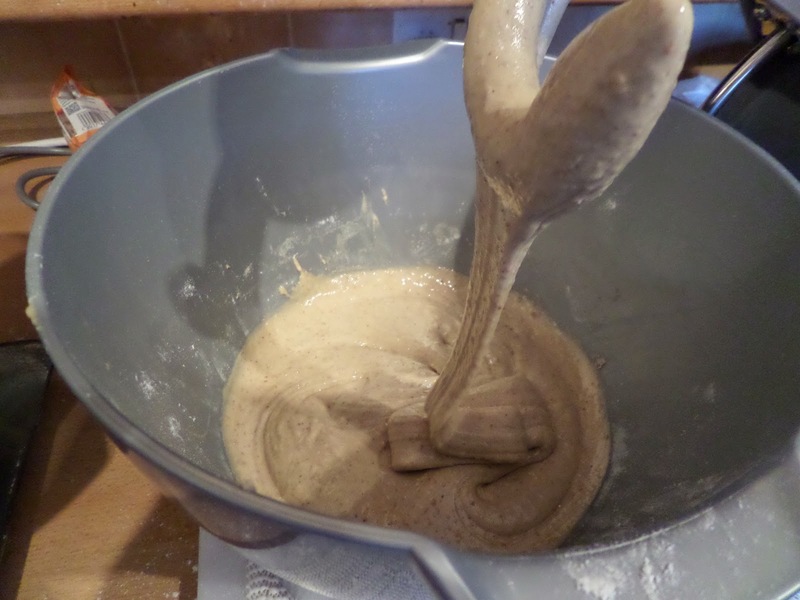 I think I need more flour next time. Then it’s into a 160C fan oven for 25 minutes and the loaves come out. 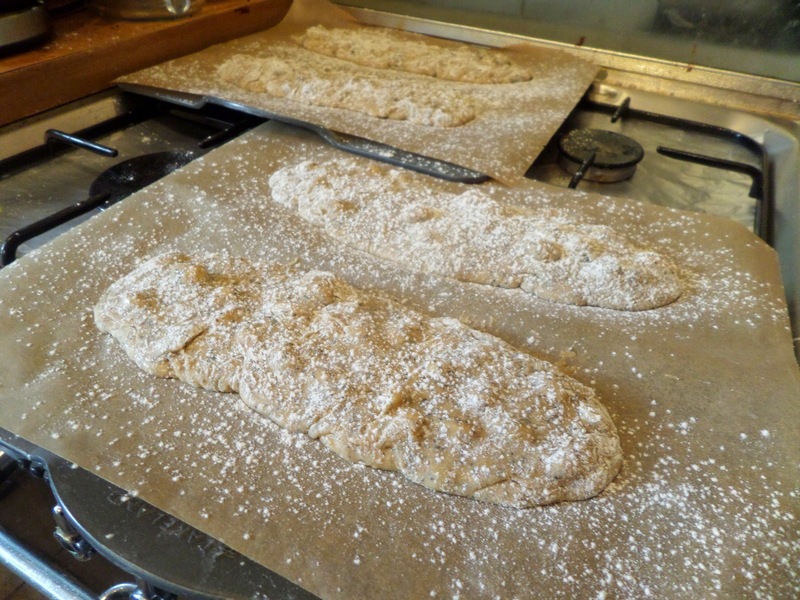 The oven goes down to 140C fan, and once the loaves are cool enough to handle they get cut on the bias to form biscotti shapes. Then it’s back into the oven for 15 minutes, then they all get flipped before a final 15 minutes. The honey and lavender ones have just a hint of lavender, which avoids any soapy taste, which is good! They’ve also got a slightly soft centre which I like. The lemon and poppy seed ones are crunchier, probably more authentic, but not how I like them. Then again, after being dipped in coffee they’re very good! The honey-lavender version sounds wonderful. Love reading your whole thought process behind the recipe.